your child's life was in danger and you had to abscond? if you could no longer work... put food on your table? no safe place to sleep... instead on the streets left to roam? 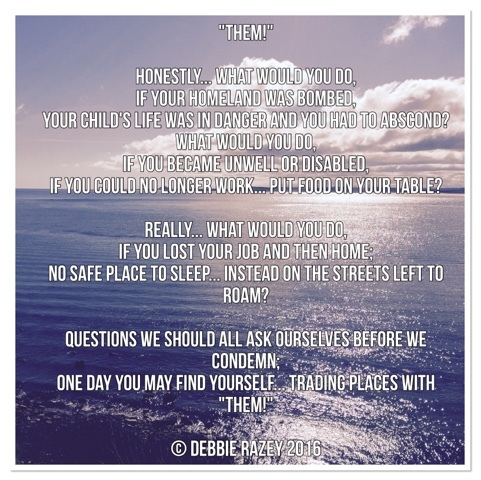 one day you may find yourself... trading places with "Them!"